At present, our web site is still under construction. We are making an effort to present you with our entire spectrum of offers as soon as possible. At this point we can provide you with information regarding our services. The emphasis of our site is on customer information and satisfaction. This topic is certainly of interest to you. Check this site later, please. In the meantime you can reach us at 707-472-0600. We are looking forward to hearing from you. 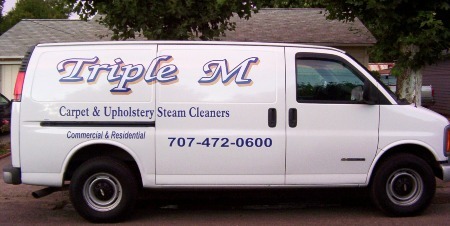 You can also contact us at our e-mail address: najera@triplemcleaners.com. In brief, you should know the following about us: our company was established in 2003, and had been responsible for providing outstanding carpet, tile and upholstery cleaning ever since. Our regular customers particularly value our constistant, quality work. Our business is located in Redwood Valley, CA. We currently offer our services in all of Mendocino and Lake Counties.